As I mentioned in day 2 post, we alternate ‘adult’ with ‘kid’ days. So Katrine had Gregor got to choose, within reason, the itineracy for the day. The original plan had been to go to Everland, a large theme park just outside of Seoul, but as the weather was cold, with wind chill bringing the feel-like temperature further down, we decided that this just wouldn’t work. 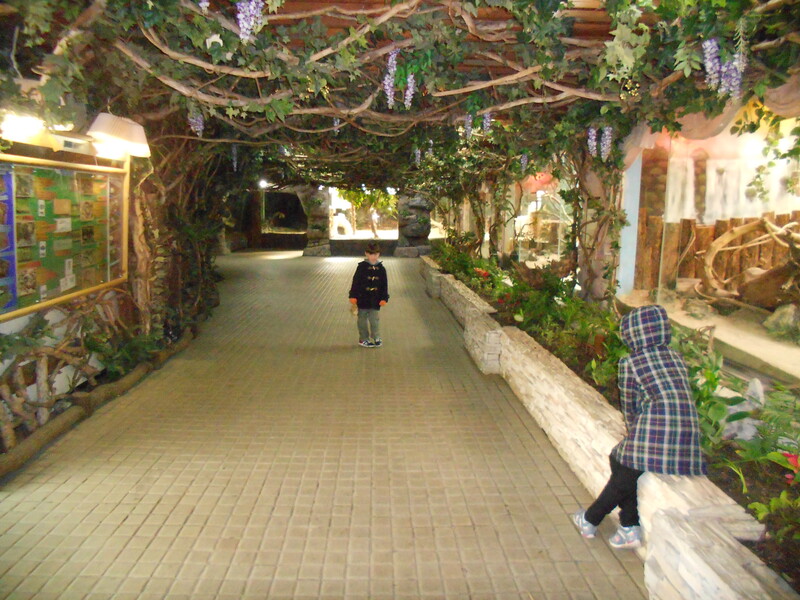 So instead we went to Lotte World, which is an indoor theme park. 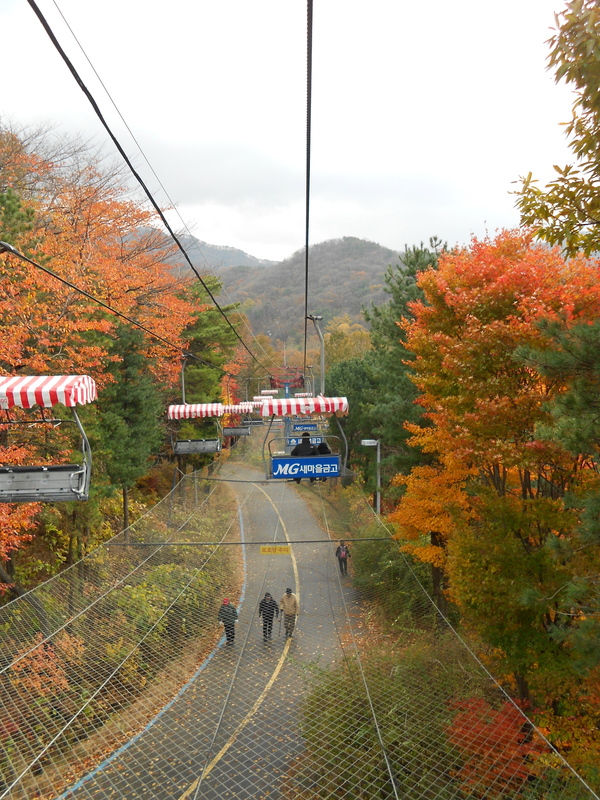 Another advantage is it is within Seoul and easily reached on the Metro, rather than the Metro and bus we would have needed for Everland. It was slightly strange being inside with roller-costers and flume rides but they managed to pack a lot into a small space. There are a couple of rides that have an extra charge but the majority are included in your day pass, there is a foreigner discount – you are supposed to need ID but we were never asked for any, wonder why? 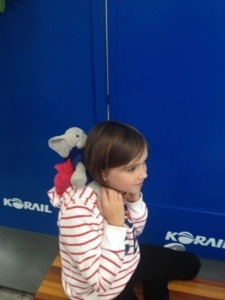 We had a brilliant day; the flume and jungle adventure were my favourites. A balloon ride going all round the main hall. View from said balloon ride. There were several shows on though out the day, but we were more interested in the rides. The swinging boat – it’s a classic for a reason. Gregor came off this looking slightly green. Candyfloss! I wasn’t the only one taking their photo at this point. A Christmas parade, complete with floats, dancers, fake snow and even fireworks. Another picture of the parade. 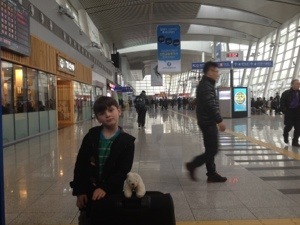 And so, our mini-break in Seoul has come to an end. 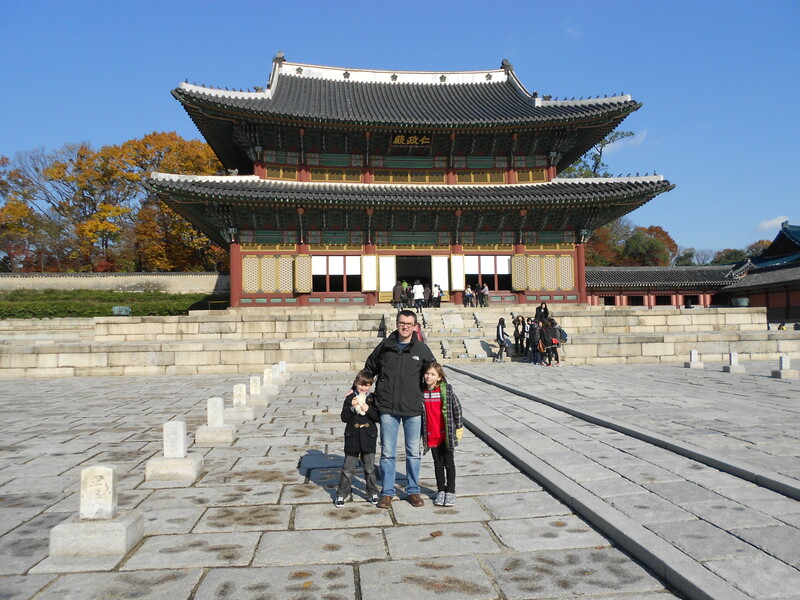 We had a lot of fun and seen and done more than I expected to in three days but there is a lot we didn’t get to do; I would love to see the changing of the guard at Gyeongbokgung palace, then there is the War Museum, lots of art galleries, we didn’t get to the DMZ and many more. In fact, probably enough for another trip up north some time. Though we might go when it is a bit warmer next time. 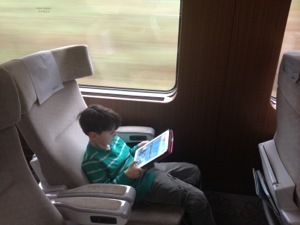 As we had a ‘kid’ day yesterday today we got to do more adult things. So we headed off to visit the grand palaces just a few minutes walk from our hotel. 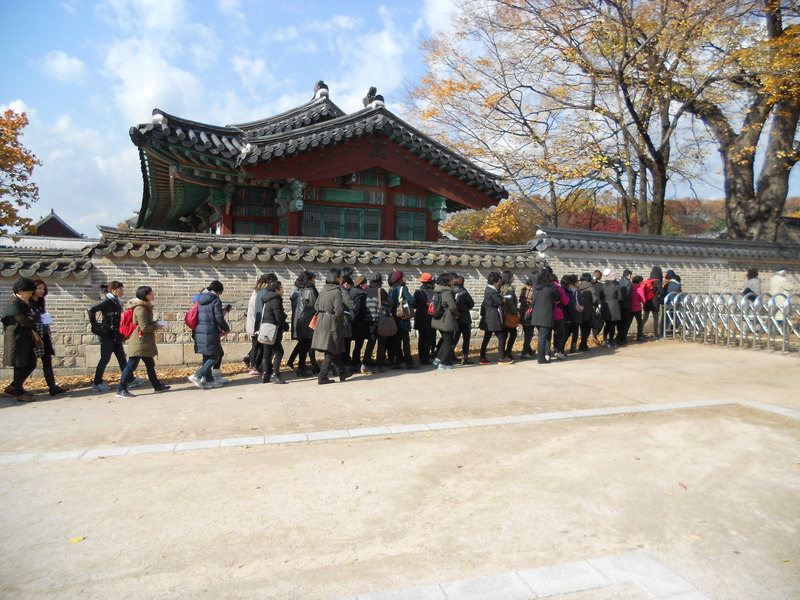 The plan was to go to Gyeongbokgung, which is the biggest of the five, and see the changing of the guard at 11o’clock. Unfortunately it was a Tuesday and this palace is closed on Tuesdays. 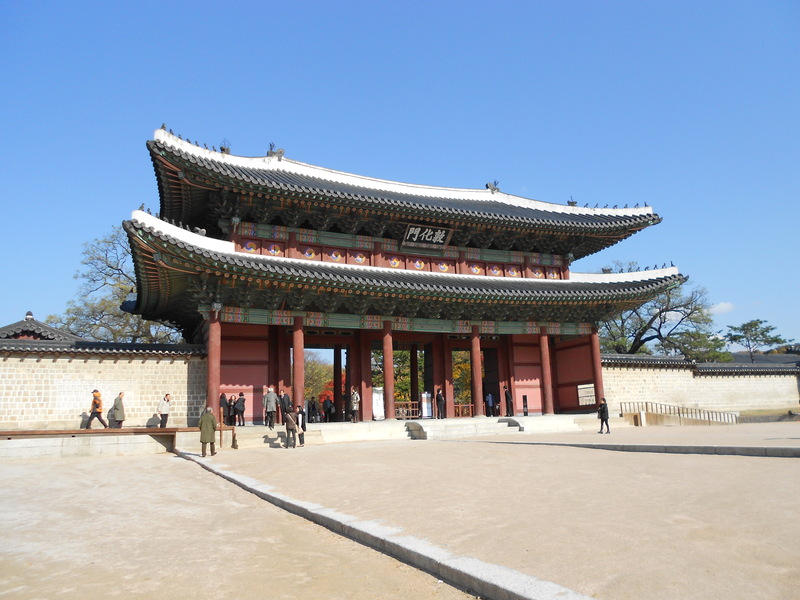 But the other, very nearby palaces were opened so we headed over to Changdeokgung palace, which is the only one to be on the UNESCO world heritage list. Originally built in 1405 (I have the guide book so can give accurate details) it suffered various mishaps throughout the ages, destroyed, rebuilt, destroyed again and the restoration is still ongoing. 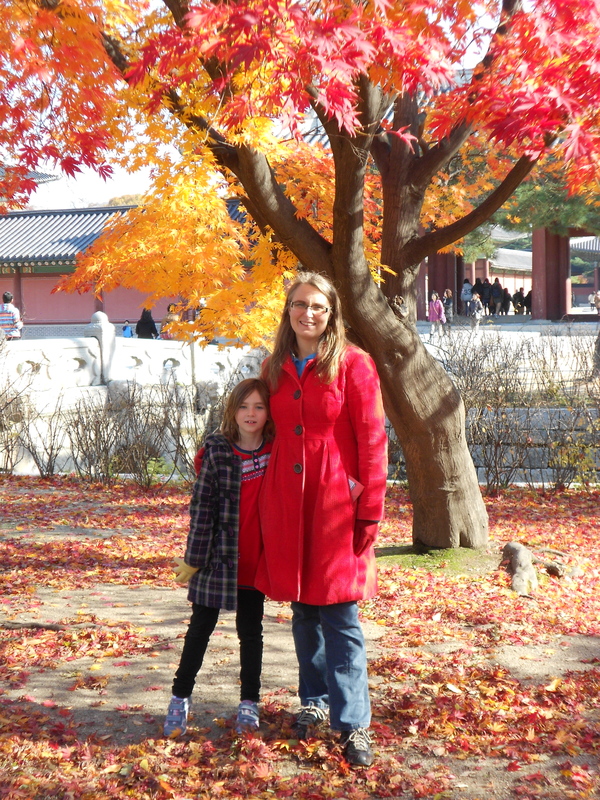 There is a stunning tree just inside the gates, very popular for photos, so we had to join in. The palace is made up of a series of beautiful buildings, set around courtyards and walkways, and harmonising with the natural setting was an important part of it’s construction. 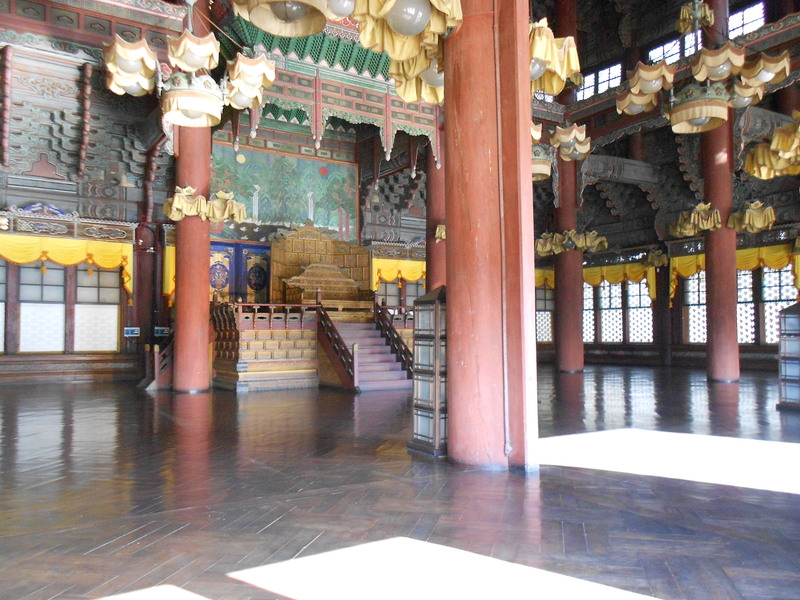 Injeongjeon is the main throne room, used for coronations and other important ceremonies. It has been rebuilt three times; 1418, 1610 and 1804. 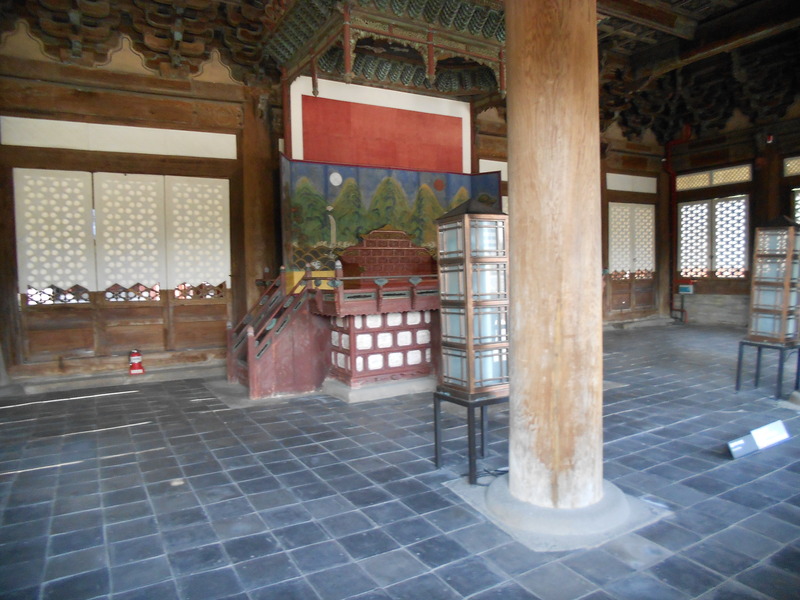 Although the throne room looks two stories, inside it is a large double height room. 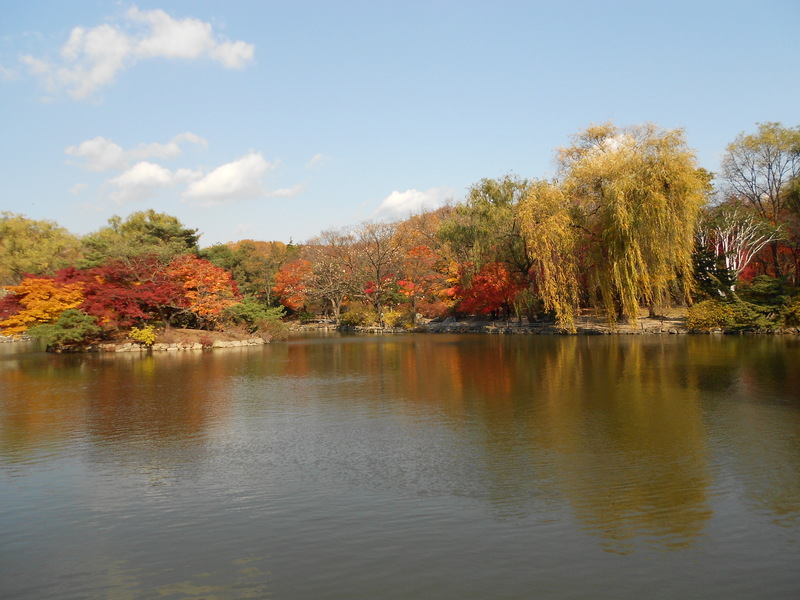 Along side the palace complex there is the Secret Garden, which was a forbidden retreat for the royal family. The pictures in the guide book are very impressive but we didn’t get to go in ourselves. You have to do the tour, rather than just wander round, and at an hour and a half we thought it was just too long. Something saved for another day maybe? The queue to enter the Secret Garden. 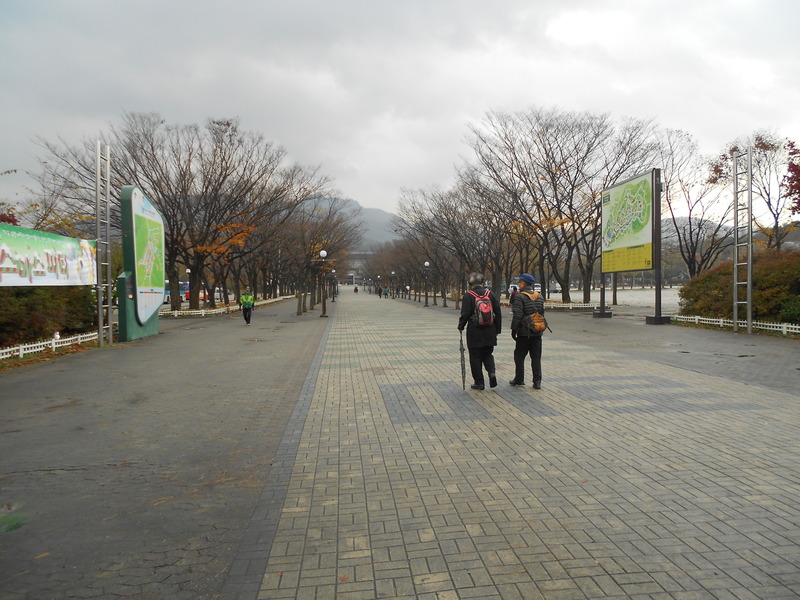 Instead we went to the adjacent palace of Changgyeonggung, this is a much smaller complex but has a large park area, which enabled Katrine and Gregor to have a run and burn up some energy. It was built in 1484 when the larger palace became too crowded and was built for three dowager queens, it too has been rebuilt many times due to fire and occupation and is still under restoration after being used as a zoo from 1907 till 1983. This pond used to be rice paddies that the king would plough and pray for a good harvest, but was converted to a boating pond in 1909 by the Japanese. 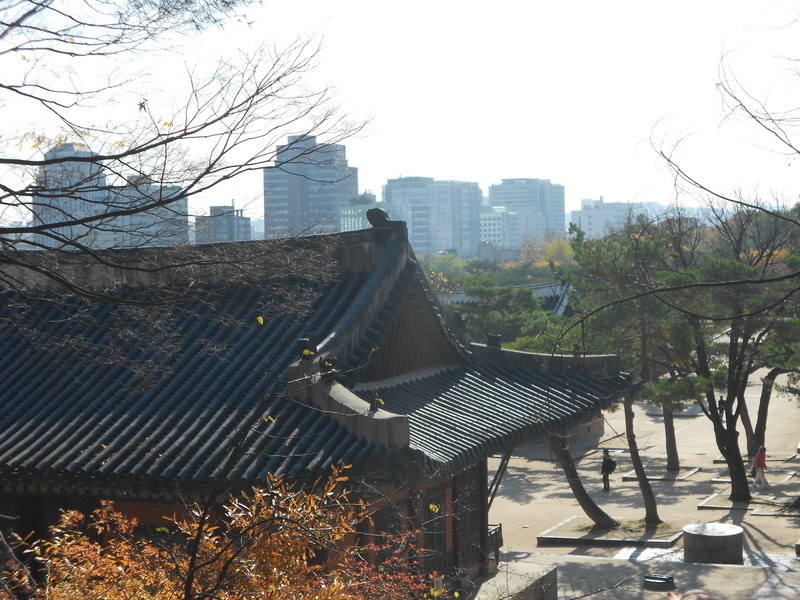 This is the oldest main hall of all the Seoul palaces (1616) and was originally built as living quarters. 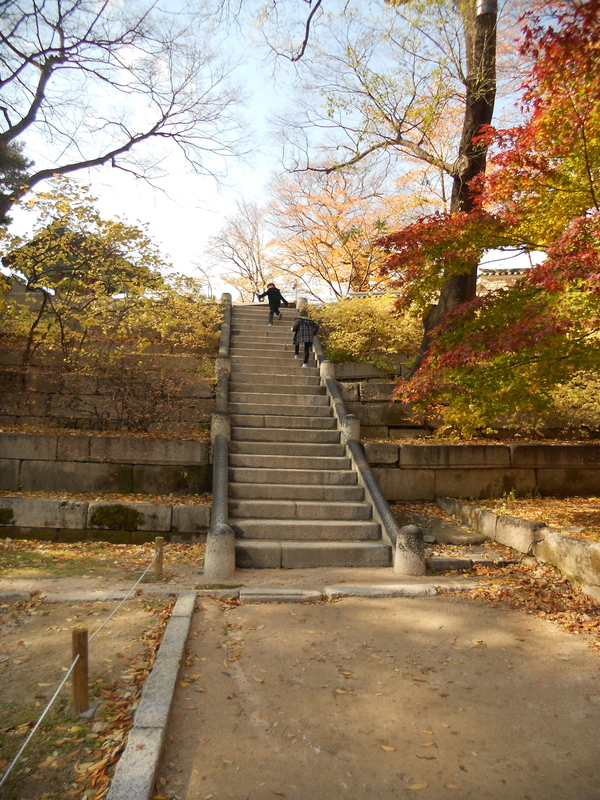 These are the steps linking the two palaces, showing how the design followed the natural topography. After visiting the palaces the plan had been to explore the traditional buildings in the surrounding area but the weather turned colder so we headed back to the hotel for the afternoon, then in the evening we headed out to explore the lantern festival. I am going to finish with this photo, which I really like as it shows how the modern city and historic buildings interact. 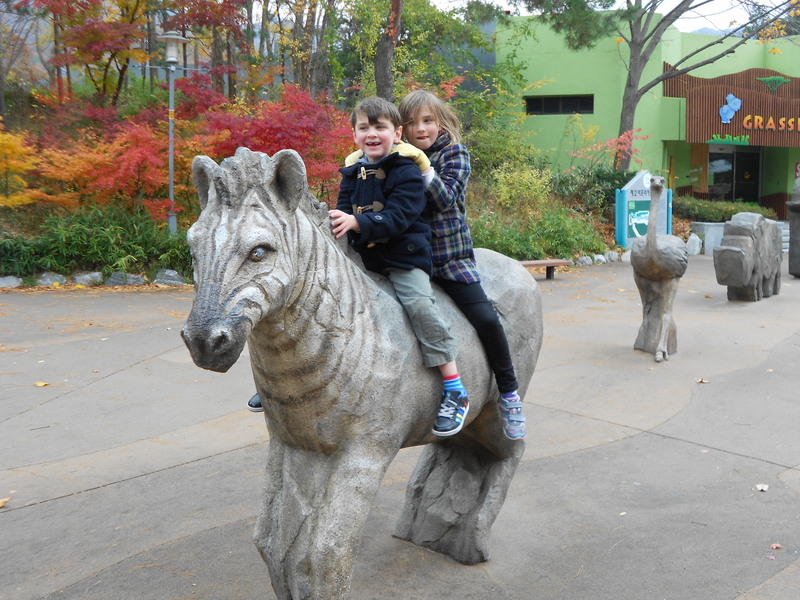 As we managed to pack a lot into our short trip I have decieded to split the posts by days so here is day 1 of our stay in Seoul, where we headed to Seoul Grand Park and Zoo. 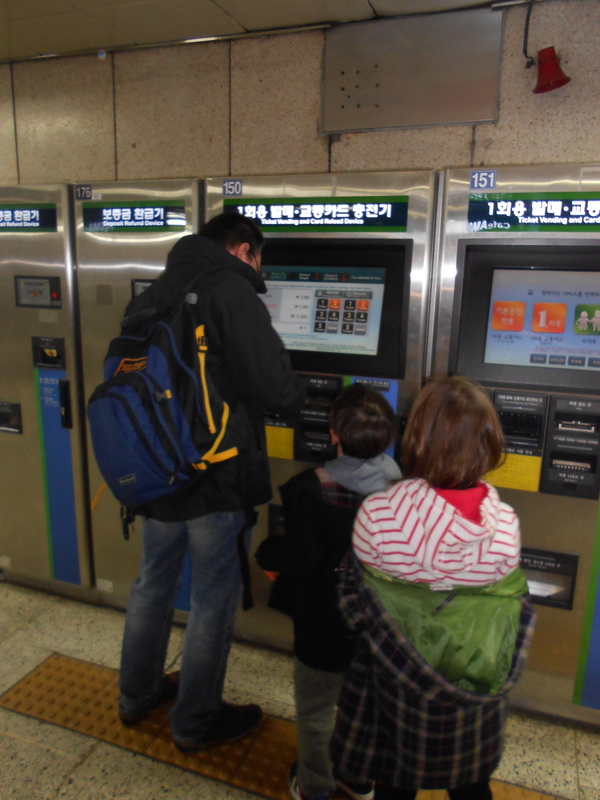 Here we are figuring out the ticket machine of Seoul Metro. The brilliant thing was as soon as we selected English, then it stayed English though out, even when we placed our cards on the turnstiles the voice telling us we needed to get our deposit back was in English. It was a 500won deposit for each card, each trip and we let the children keep the change, this was then their spending money for the week, they both choose to save it up and spend it on the last day. The entrance to the park was very bleak and forbidding, and yes it was as cold as it looks in this photo! 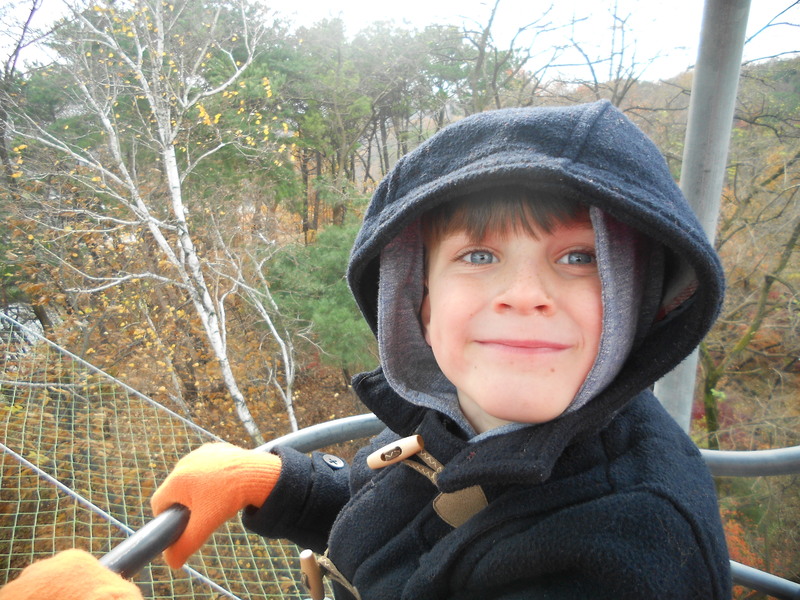 We got the skylift up to the top of the zoo, which was a chilly but quick way to get there and gave us some stunning views. 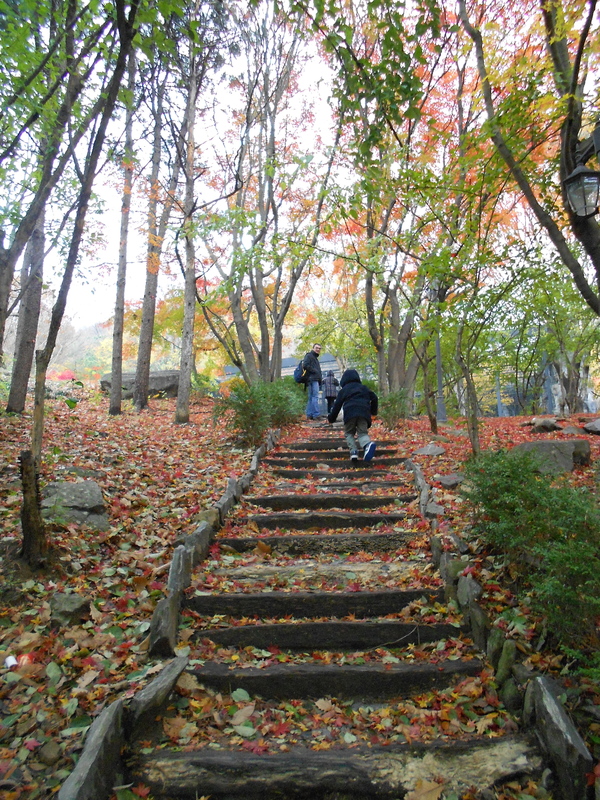 The autumn colours, that are only just coming out in Ulsan, were a highlight of the trip. The zoo had lots of twisty paths that were fun to explore and although some cages were too small there were others that had obviously been recently redone and were very good. 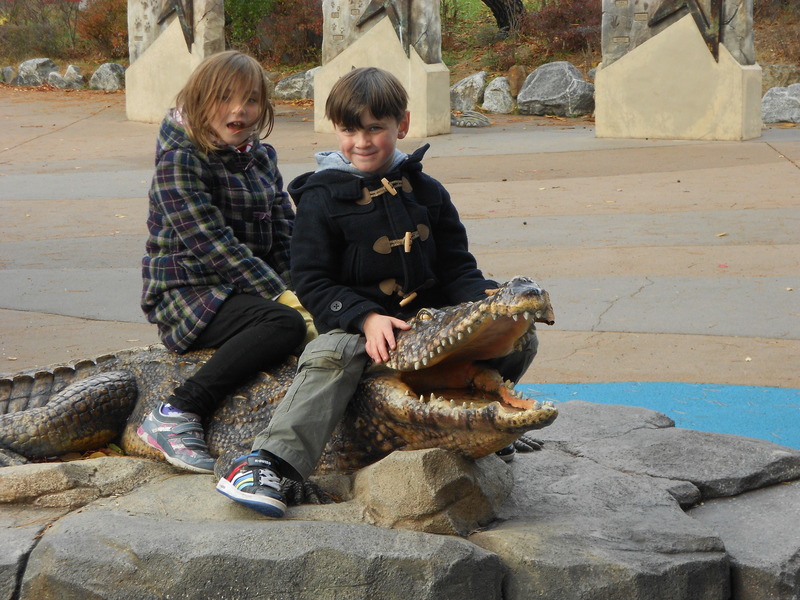 Heading into the reptile house to warm up. Notice the complete absence of other people! It was a week day with most of the school still open so most of the visitors were people walking/hiking and very few looking at the animals, but it was still very quiet. 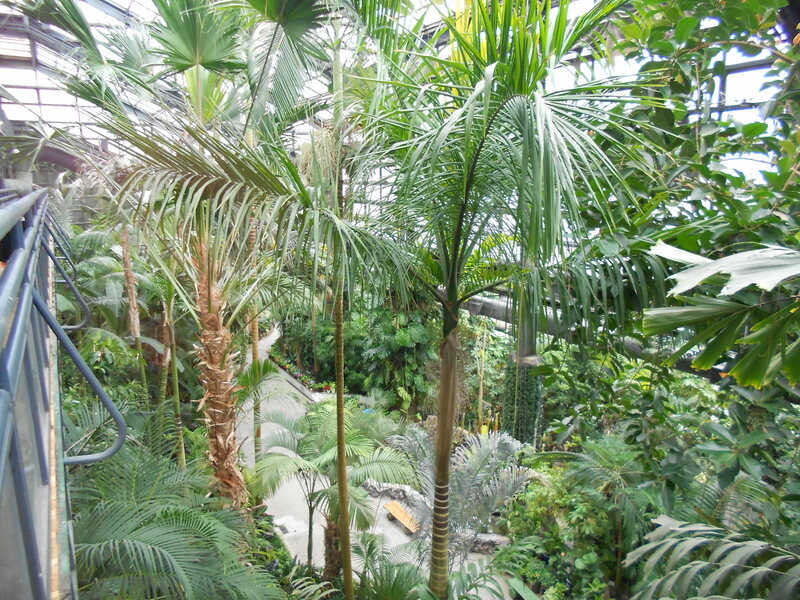 And the same a little later on with the botanic garden greenhouse, which had a fun elevated tree-top walkway. 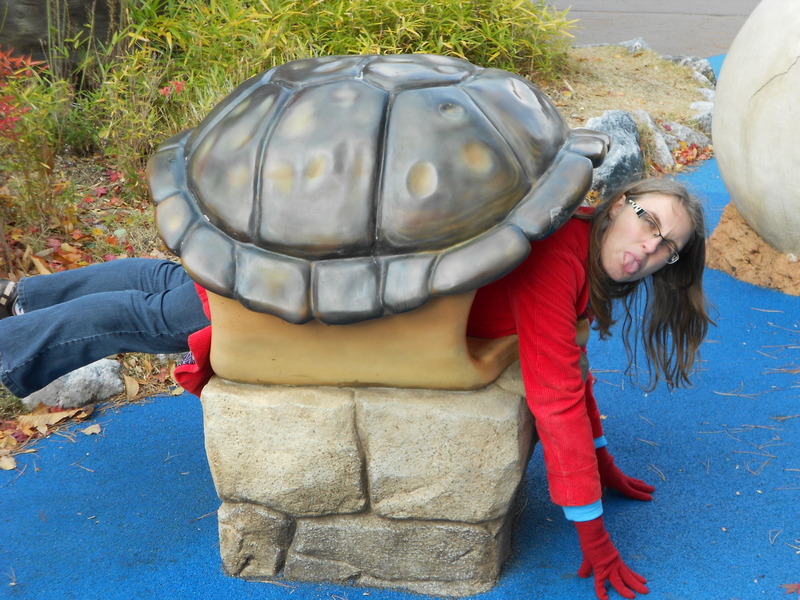 To finish off here are some photos of us playing around with the statues that are scattered around.